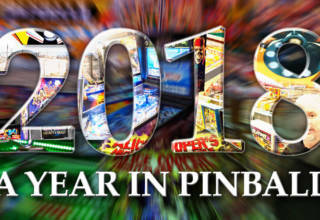 The next game to be built by Spooky Pinball was announced today. 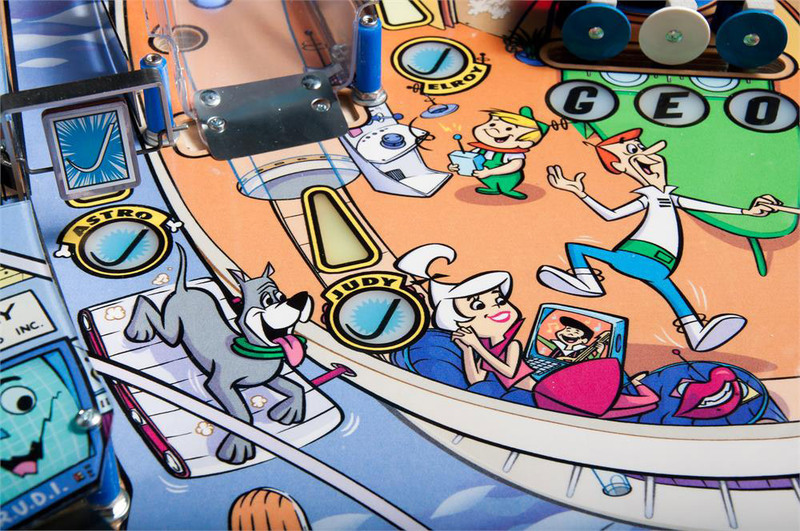 However, The Jetsons is not Spooky Pinball’s own title. 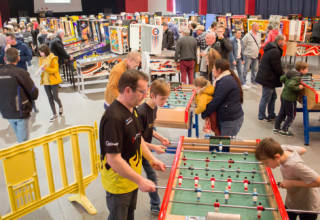 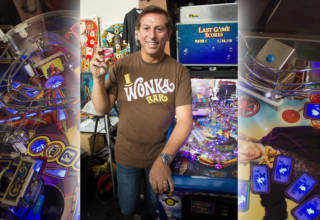 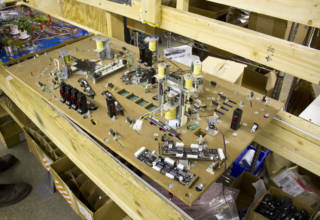 The game is actually the product of Nic Park’s The Pinball Company which is based in Columbia, Missouri and which also produced the relaunched Gameroom Magazine. 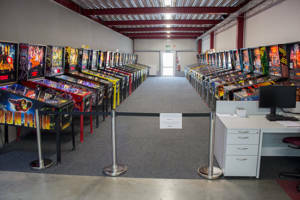 Nic is having the game built by Spooky Pinball in Benton, Wisconsin, for purchase through The Pinball Company’s website and showroom. 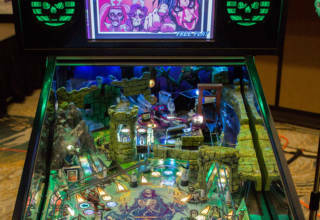 Spooky Pinball will also be offering to sell the game. 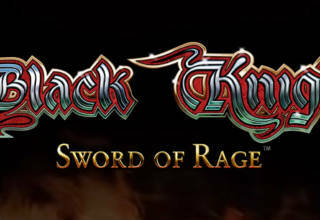 So what of the game itself? 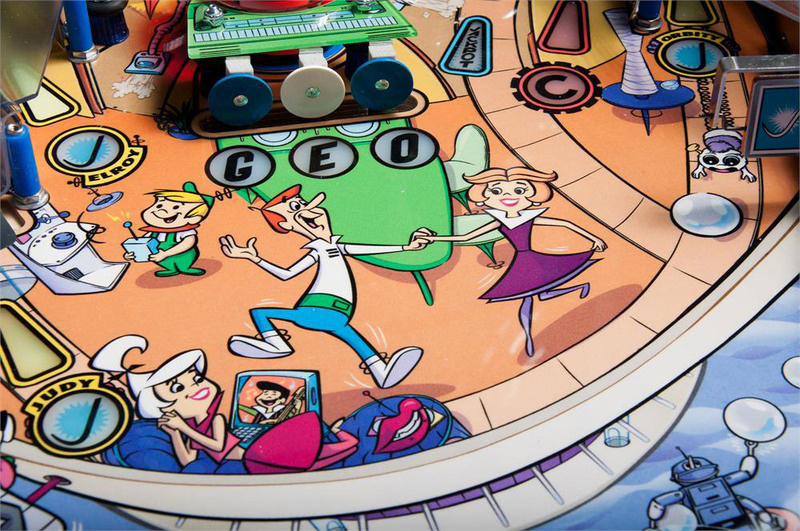 Cabinet artwork looks very clean and bright, featuring characters and settings from the Hanna-Barbera animated TV series. 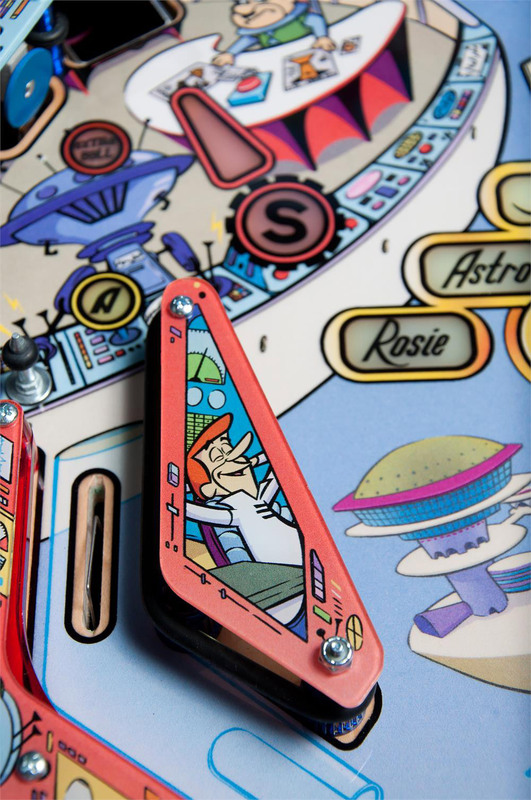 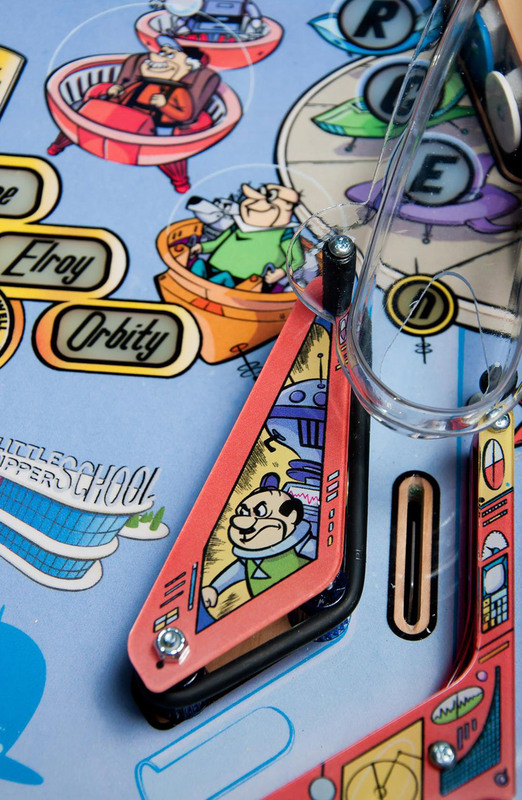 The Jetsons‘ playfield is said to be intentionally simple and easy-to-understand in order to appeal to families, and it is to this market that The Pinball Company is looking to market the game. 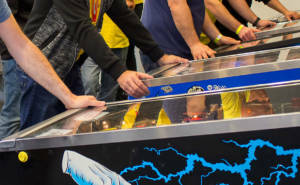 There is a single ramp on the left side which returns the ball into the right inlane, and six stand-up targets in two banks of three to spell out G-E-O and R-G-E. An addition standup on the lower left awards the extra ball when lit. 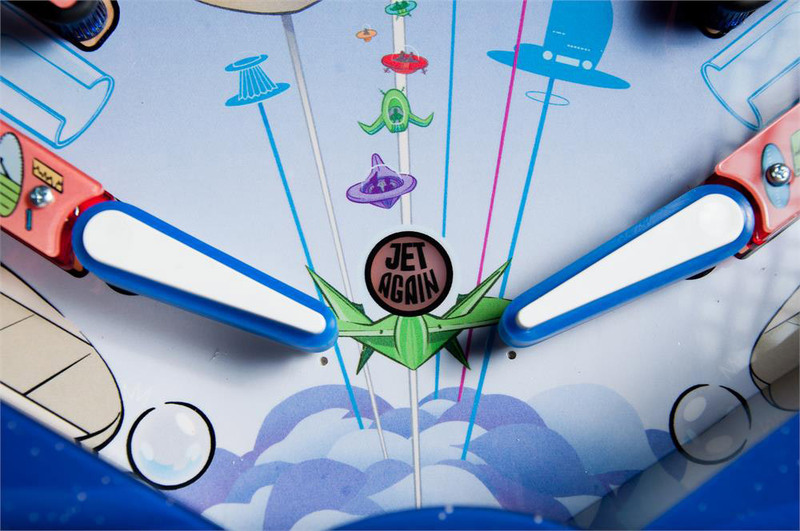 An orbit lane has right and left entrances, both graced with spinners, while an inner orbit is joined by a captive ball and a scoop on the lower left of the playfield. 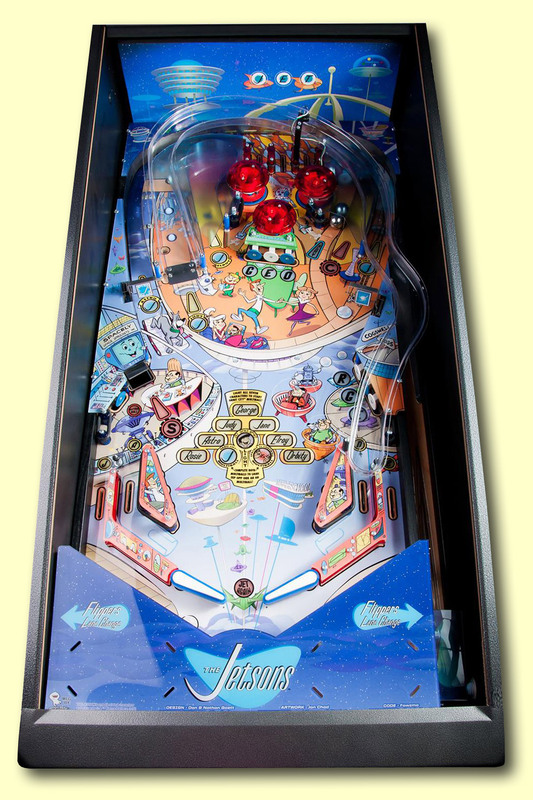 Three rollover lanes feeding to the three pop bumpers compete the top of the playfield, while a single inlane and outlane on each side and the two flippers round off the feature set. 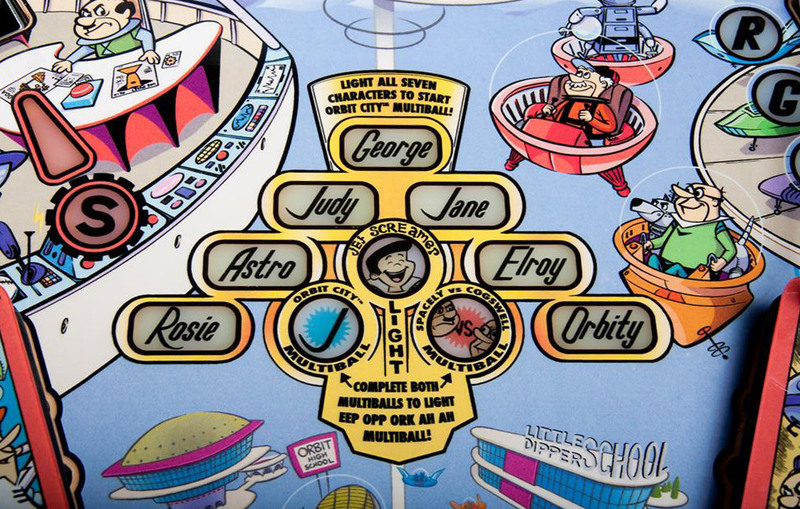 Collecting all the characters seems to be the key to starting Orbit City Multiball, while this and Spacely vs Cogswell Multiball are both needed to qualify the wizard mode. 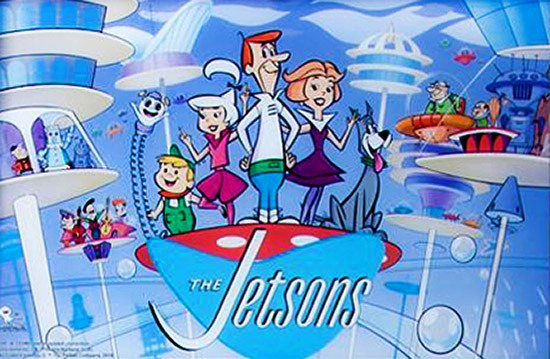 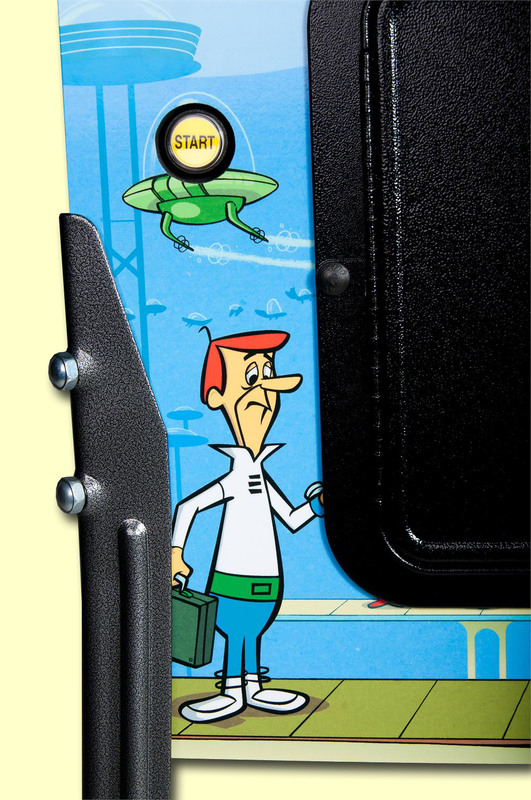 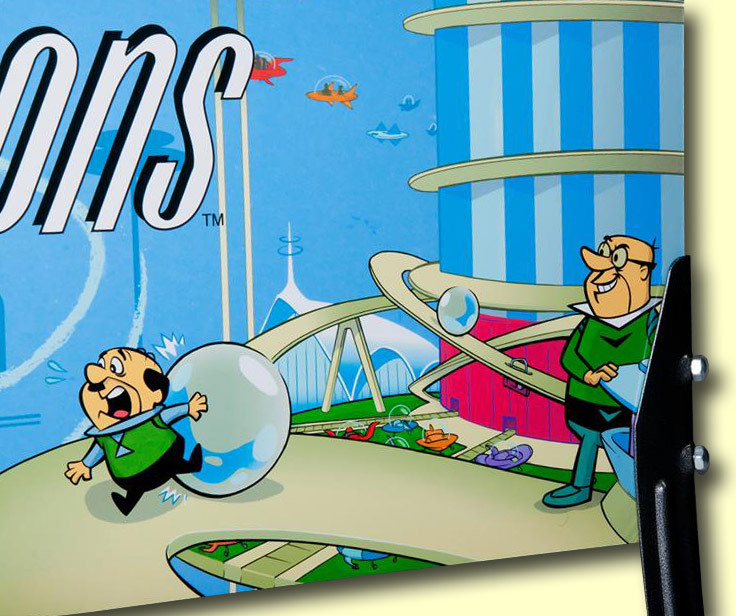 The Jetsons was designed by Dan and Nathan Goett with art from Jon Chad, and is limited to a maximum of 300 machines, with shipping anticipated for late March. 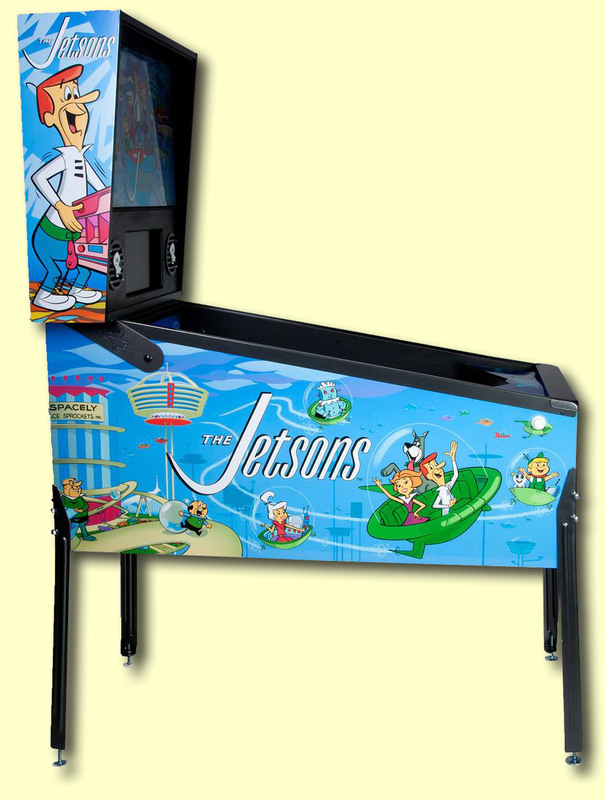 You might expect the simplified playfield feature-set to equate to a low-end price tag, but The Jetsons is priced at $5,999.00 putting it above a Pro model from Stern. 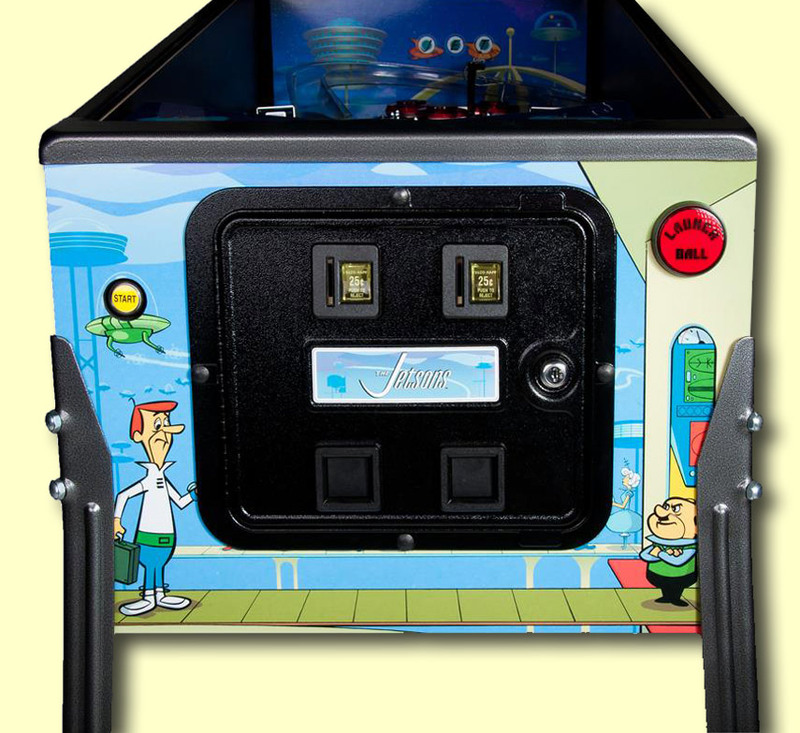 However, these pictures do not show a number of playfield toys which expected to be added but are still the subject of approval by the licensor. 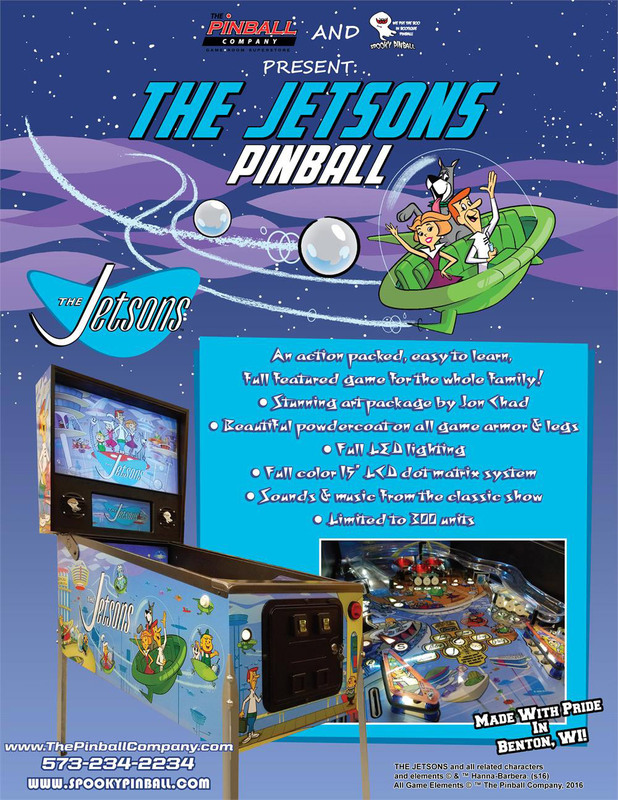 The Jetsons is expected to debut at the Texas Pinball Festival in March and naturally Pinball News will be there to report on it and the rest of the show. 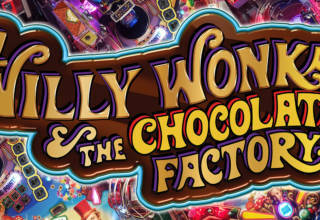 There has been no official press release about the game, but here’s the flyer instead. 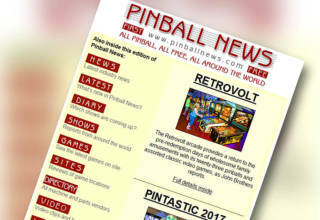 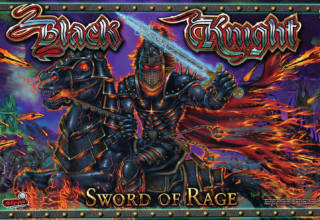 You can also find out more and order the game on The Pinball Company’s website.